Hello my lovelies! A few weeks ago I was contacted by Cindy, who makes and designs nail decals. She asked if I wanted to test them out and review them for her! Of course, I said yes and I am super impressed. 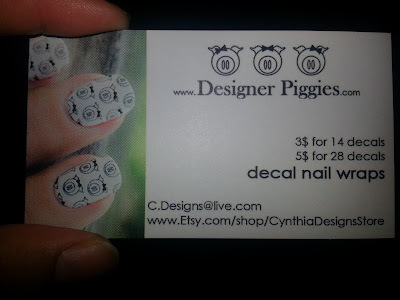 I chose the piggy decals because that's the name of her decals and they are so adorable! Enjoy! -Lasted me about 4 days! 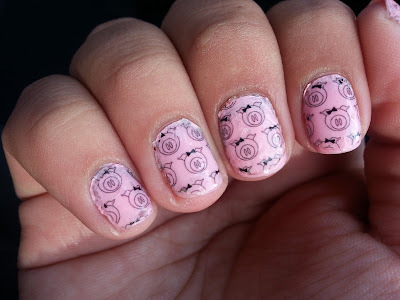 Overall, I really enjoyed these nail decals. 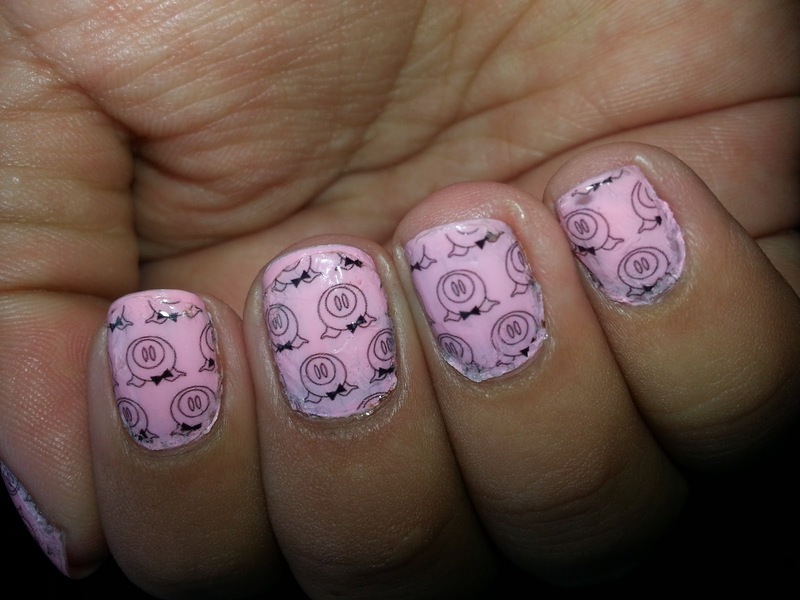 Check out her online store to see more designs! Awwww....so cute!!! love the color and the design. Great choice!